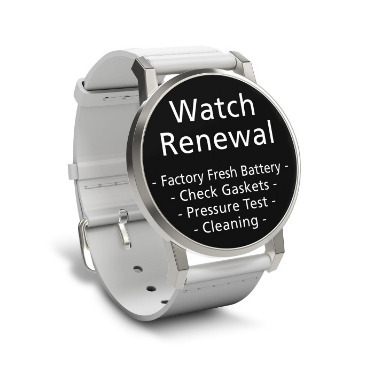 How many watches would you like to renew? 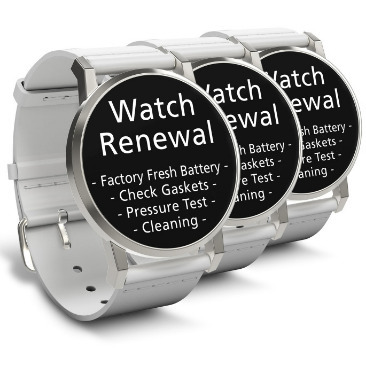 Includes new superior quality battery, check gaskets & seals, sonic cleaning, pressure test for water resistance! Includes new superior quality battery, gaskets & seals checked, sonic cleanings, pressure tests for water resistance! Place your order online and we'll ship you the packaging needed to send in your watch. Place your watches in the box, affix the shipping labels and put in your mailbox! 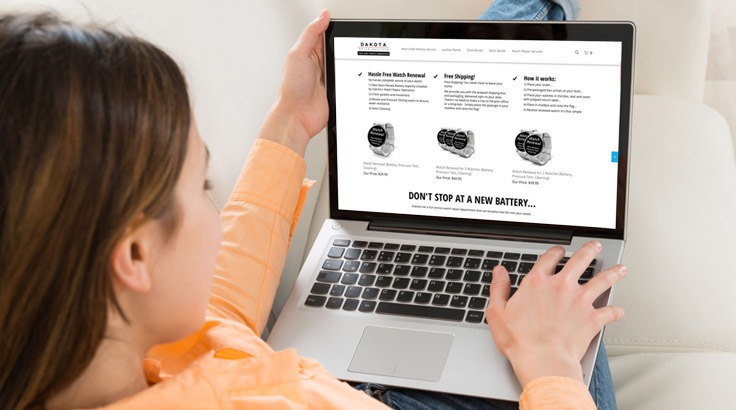 We'll replace your battery with a new superior quality battery, pressure test for water resistance and sonic clean your case and band before returning. Never go farther than your mailbox. 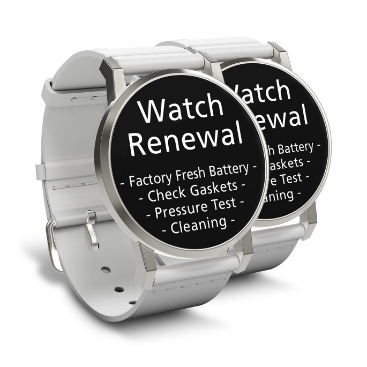 Quick and easy watch renewal from the battery replacement experts at Dakota. Dakota has a full line of bands and straps as well as a watch repair department that can breathe new life into your watch. Why not replace your band with a new genuine leather Dakota strap? Or a stainless steel band - sized by our experts so it fits when you take it out of the box? 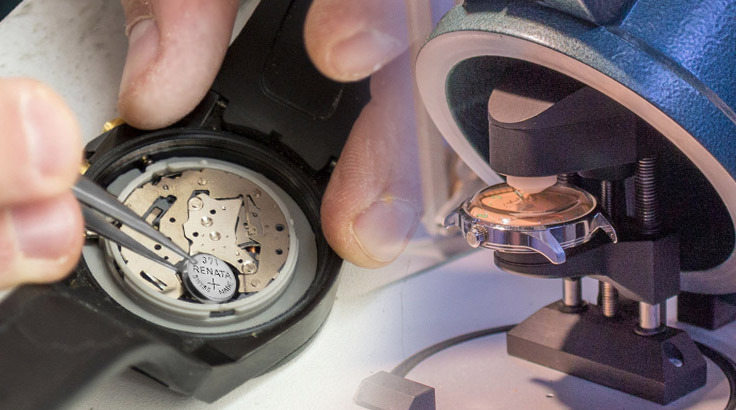 We can even repair damaged and broken watches. Ship us your watch and our repair specialists will diagnose the watch and provide you with a quote for repair.